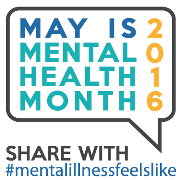 May is Mental Health Month, which is a time of support dedicated to anyone whose life is impacted by mental illness. May is also designated as a time for increasing awareness about teen mental health, and encouraging anyone who has been struggling with mental health issues to seek help in a safe, supported environment. An important component of supporting teens seeking help for mental health illnesses or disorders is to help challenge and eliminate the stigmas surrounding mental health. Removing misinformed preconceptions or stigmas regarding mental illness will help foster the safe, inclusive environment that those with mental health issues need to seek help confidently. What is a Mental Illness Stigma? According to the Mental Health Commission of Australia, a mental illness stigma is created when a person is labeled solely by their mental health condition, and faces feelings of shame and disgrace through discrimination brought about due to their condition. Eliminating the stigmas associated with mental illness in teens is entirely possible through education, support, and open conversations on this difficult topic. Here are 5 things that you can do this month, and beyond, to help support those you know who suffer from mental illness and work toward eliminating the negative and prejudicial stigmas that exist about mental health and wellness. Learn, understand, and share correct and positive information about mental illness. To best reduce the stigmas surrounding teen mental illness, it is important that you learn all the facts about mental disorders, and only share correct and positive information with your family, friends, and others. Embrace and acknowledge those who have experienced mental health issues. If you, your teen, or another loved one in your life has personal experience with mental health issues, then it is vital that you encourage open, honest conversations about their mental health and truly listen. It is also important to remember that a teen with a mental illness is not solely defined by their condition, so acknowledging their mental health as just part of who they are can be very beneficial to making them feel accepted and respected. Replace labels and judgement with inclusion and respect, for those suffering from mental illness. Placing judgement or labels on teens with mental health problems can cause them to feel isolated, alienated, and alone. However, if you approach mental health with support, inclusion, and respect, then those already struggling will feel more confident in speaking up for themselves and seeking out support and help. Speak up when you hear others spreading misinformation about mental illness. Stigmas exist so predominantly because there is a lot of misinformation and incorrect perceptions about mental illness in circulation among people. If you hear others speaking negatively about mental health or spreading incorrect information about those who live with mental illness, it is important that you speak up and defend yourself or your loved ones with accurate facts. Educating others about the truths of mental illness can help diminish the negative impact stigmas have on society. Talk openly and honestly about the reality of experiencing and living with mental illnesses. Due largely to stigmas associated to mental illness, many teens will feel ashamed to speak about their mental health and seek out help if they need it. You can encourage your teen to speak openly and honestly, and ensure them that their feelings will not be met with any judgement or blame. It is also important for teens who live with mental illness to share real life experiences about their struggles and how they live in spite of their mental illness. 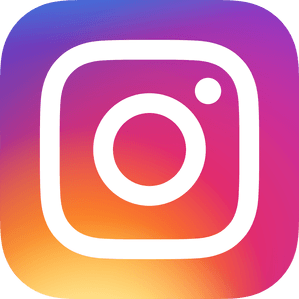 There is a growing social media community dedicated to highlighting the truths about mental illness and supporting those who need or are getting help. You can share your experiences, or encourage your teen to do the same by using the hashtag #mentalillnessfeelslike.